With the rapid growth of Electronic industries, there is an increasing demand for high-performance electronic packaging materials. In a harsher service environment, the high-temperature performance and thermal cycling stability are required to run the electronic system. In order to remove the heat generated in electronic systems, appropriate materials must be developed as heat sinks. In this work, we report Ba0.7Sr0.3TiO3 nanoparticles, which were synthesized using a citrate gel method, used as reinforcements in a Cu matrix composite. 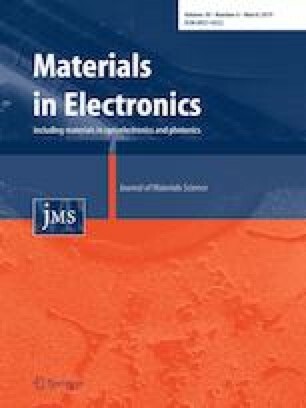 These composites have shown the coefficient of thermal expansion value compatible to that of Si and GaAs at the same time having a superior thermal conductivity of 292.213 W/m K compared to SiC reinforced composites, making it a promising material for packaging applications in semiconductor industries.